George Egg: DIY Chef comes direct from total sell out UK tours on Friday 19 October . A health scare sees George banned him from the family kitchen, but relocated to the garden shed his imagination and resourcefulness lead him to build an improvised kitchen there instead. 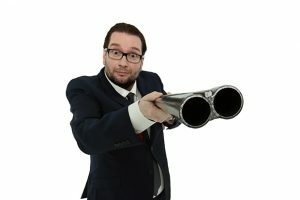 During an inspiring and inventive evening of stand-up, live cooking and comedy lecture, George prepares a breakfast, a lunch and a dinner using the most unconventional of methods. BBC Strictly Come Dancing’s all-time favourite professional, Robin Windsor, has decided to hang up his dancing shoes, after a long and successful career and he plans to go out with a bang! 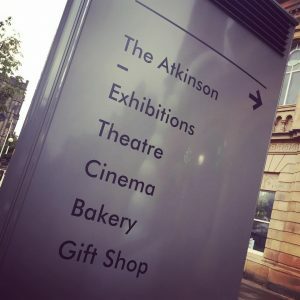 Come and say goodbye to Robin on his last tour at The Atkinson on Thursday 15 November. Robin, who was part of the hit TV show for five years, and whose celebrity partners included Patsy Kensit, Anita Dobson, Lisa Riley, and Deborah Meaden, is excited to create a show that will be action packed and energetic to match his personality! Robin is no stranger to touring, having been involved in many shows over the years including Burn the Floor, on Broadway and the West End, Puttin’ on the Ritz, Keep Dancing, and most recently Dance to the Music, with former Strictly Come Dancing professional Kristina Rihanoff. 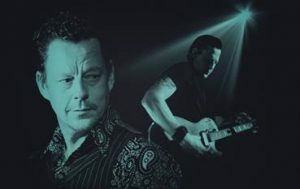 There are also a limited number of VIP tickets (priced at £48) available at most venues, where people can meet Robin before the show and have photo opportunities. TheSouthport Palette Club’s 92nd annual exhibition will open on 28 July this year. 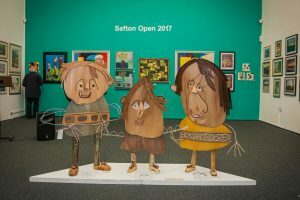 This popular event is now part of the larger Sefton Open, a large vibrant exhibition, which includes work from many clubs and societies involved in the visual arts across the whole of the Sefton area. The exhibition offers artists an excellent opportunity to show case their work, and the Palette Club will again be selecting the very best artwork to display from open submission. The exhibition provides the ideal opportunity to purchase high quality art from local artists at affordable prices. All artists living or working in Sefton were eligible to submit works. The Southport Palette Club exhibition was launched in 1921. It has built up a reputation for excellence over the years. Club chairman Peter Owen said: “We are confident that the 92nd exhibition will continue to build on previous successful exhibitions and we look forward to welcoming both regular and new exhibitors. The Sefton Open is free to view and will run from 28 July to 25th August 2018.